What Characteristics Do the Inner Planets Share That the Outer Ones Do Not? 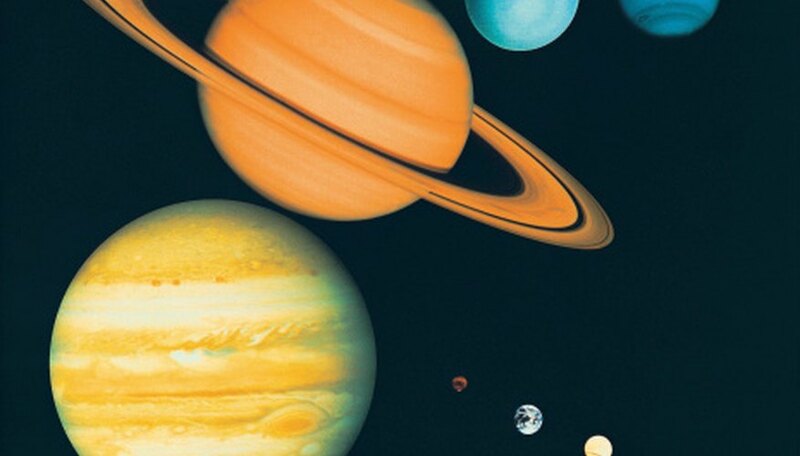 Our solar system includes eight planets, which are divided into the inner planets that are closer to the sun and the outer planets that much, much farther away. In order of distance from the sun, the inner planets are Mercury, Venus, Earth and Mars. The Asteroid Belt (where thousands of asteroids orbit the sun) lies between Mars and Jupiter, making the outer planets, Jupiter, Saturn, Uranus and Neptune, even farther away from the sun, with larger orbits than the inner planets. According to the Beacon Learning Center, because the four inner planets are solid, composed of rock and metals, they are also called “rocky” or “terrestrial” planets. Far away not only in distance but in type of matter, the four outer planets are made up of gases and are generally denser toward the center. These outer planets are called “gas giants” and are sometimes referred to as “Jovian,” which means “like Jupiter,” the largest planet in our solar system. The four terrestrial planets contain similar rocks and metals. Their cores differ somewhat in state (molten, partially molten or solid), but iron is a major component in all four. These planets are small relative to the gas giants, their closely packed elements making for rocky planets with high densities. As rocky planets, their surfaces are solid. 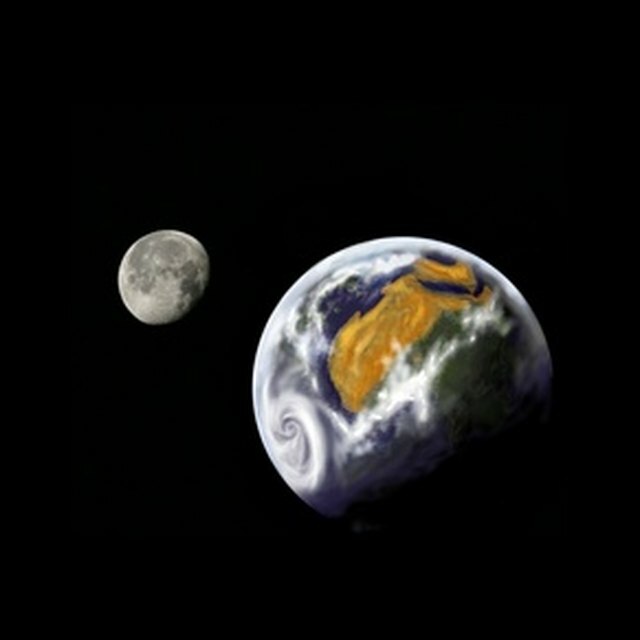 All the terrestrial planets have landforms suggesting past or present volcanic activity. On Earth, of course, volcanic activity continues. 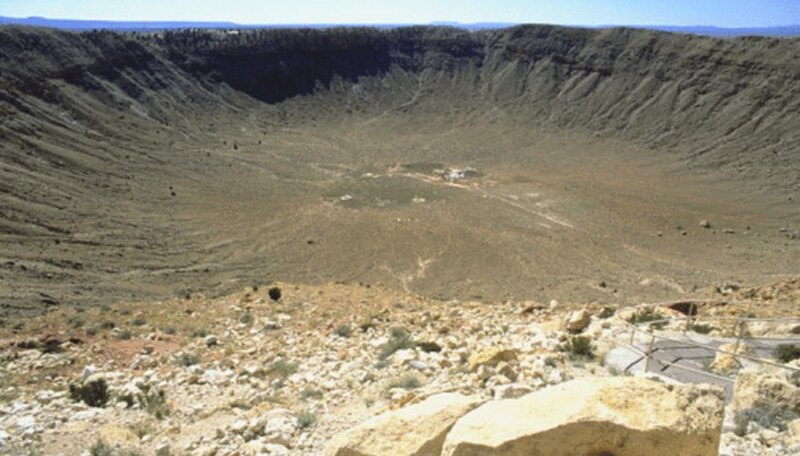 Additionally, all four rocky planets show evidence of impact in the form of craters, although on Earth, water and winds have eroded much of the evidence, except in areas of minimal or no rainfall. In contrast to the rocky planets, the larger, outer planets are primarily composed of gases, and have deep atmospheres. 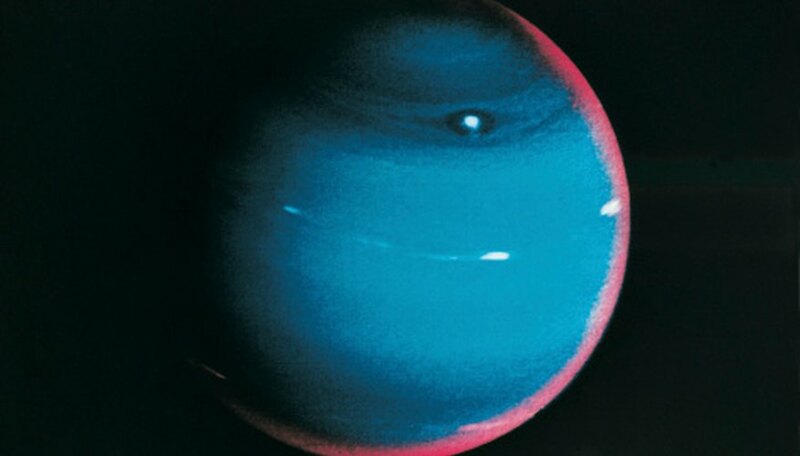 Due to the density of the rocky planets, their diameters are all less than 8,000 miles, as compared to the smallest of the gas giants, Neptune, which is 30,000 miles in diameter, according to NASA. Unlike the rocky planets, the gas giants are not similar in size to one another. The rocky planets rotate on their axes slowly compared to the gas giants. The inner planets all take a 24-hour day or longer to fully rotate on their axes. Earth takes the least time at one day, and Venus takes the longest -- eight months -- to make one full rotation. In contrast, the speedy gas giants all complete their “daily” rotations in under 17 Earth hours, according to The Nine Planets.org. None of the inner planets have rings, while all of the outer planets have quite a few (rings are made up of small particles, possibly ice, that circle the outer planets). Inner planets have a paucity of moons, with Mars claiming two and Earth just one. Mercury and Venus have none. Each of the outer planets, on the other hand, has multiple satellites. Fuller, Donna. "What Characteristics Do the Inner Planets Share That the Outer Ones Do Not?" Sciencing, https://sciencing.com/characteristics-outer-ones-do-not-8449858.html. 24 April 2017.